It was 1995, Cambridge, a bottle of Come Together, the Beatles, when Matt Schott and Ian Stanley met the first time. But until they produced their first track, ten years went, they moved to Sheffield and started wearing skinny jeans and listening to electro trash music. Matt and Ian experimented with hip hop, house, DnB. They catched everything where they could place a beat underneath to bring all of their musical tastes to one table. 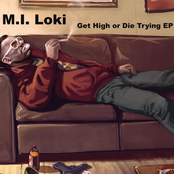 This track, called “Life” from the EP “Get High or Die Trying” is dub inspired. Please—do yourself a solid—check out myspace //residentadvisor//facebook and watch/listen to their other songs.